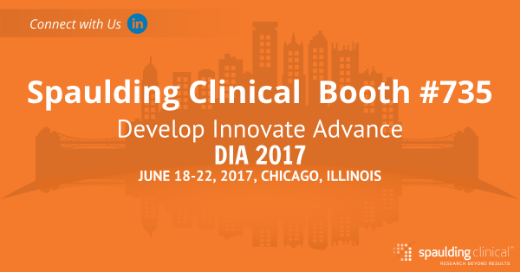 senior-level professionals, strategic partnerships, keynote speakers, and other sponsors focused on applying technology to healthcare and drug development. 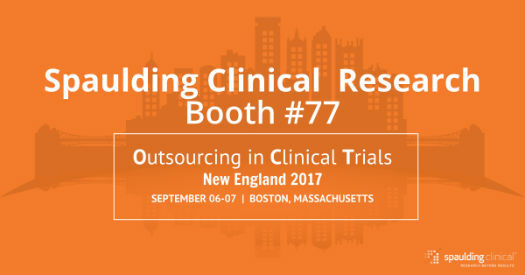 Spaulding Clinical Research, a global CRO providing Phase I - IV drug development services to pharmaceutical and biotechnology companies, will be exhibiting at this event on September 6-7 in Boston, Massachusetts. We welcome you to join our movement or meet up with one of our dedicated team members at Booth #77 to answer any questions that you might have about overcoming the challenges of using today's latest technology in our industry and marketplace. Stop by Spaulding Clinical Booth #735 and say hello to the entire business development team to learn more about Spaulding Clinical's clinical pharmacology and Core ECG services. Watch our latest video and learn more about Spaulding's Cardiac Safety Services Our webECG™ data managment solution is revolutionizing the centralization of cardiac safety data collection and interpretation. 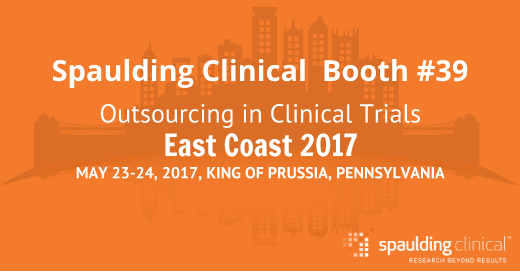 Stop by Spaulding Clinical Booth #39 and say hello to Judy and Carol on our business development team to learn more about Spaulding Clinical's clinical pharmacology and Core ECG services. Watch the innovative Spaulding Electrocardiograph demo. Our webECG™ data managment solution is revolutionizing the centralization of cardiac safety data collection and interpretation.